What Ho again, Plum lovers. It has been an especially glorious summer, right out of the pages of Blandings, and I’ve taken the opportunity to whiz about the countryside, capturing the atmosphere of Wodehouse’s England. I’ve visited Plum’s Emsworth in Hampshire and explored Bertie Wooster’s London (in one of the last tours given by Wodehouse expert, Norman Murphy). I also visited towns where Wodehouse’s parents lived, Cheltenham and Bexhill-on-Sea. The latter is affectionately remembered by Goons Show fans as the home of The Dreaded Batter Pudding Hurler. I’ll have more to share over the coming winter as I knuckle down to writing about these adventures, but I could not let this particular week flit by without mentioning two important milestones. First, Monday the 15th of October marked the 132nd anniversary of Plum’s birth. It was lovely to see the tributes flow in via the various Wodehouse fan pages and societies. Fittingly, Plum’s birthday week will close with a special event on the Wodehouse-lovers’ calendar: The U.S. Wodehouse Society’s Chicago convention. I am disappointed to be missing this event and the opportunity to meet some of the friends I’ve made through Wodehouse online. I understand the Chicago gang have gone to great effort and I’m sure the event will be a terrific success. Indeed, they are no doubt browsing and sluicing as I write. Jimmy did not speak for a moment. “Did you ever play a kidnapper, Dad?” he asked at length. Bingley Crocker’s wish comes true. Here’s hoping yours do too. So sorry you could not be here but book for Seattle in late October of 2015! 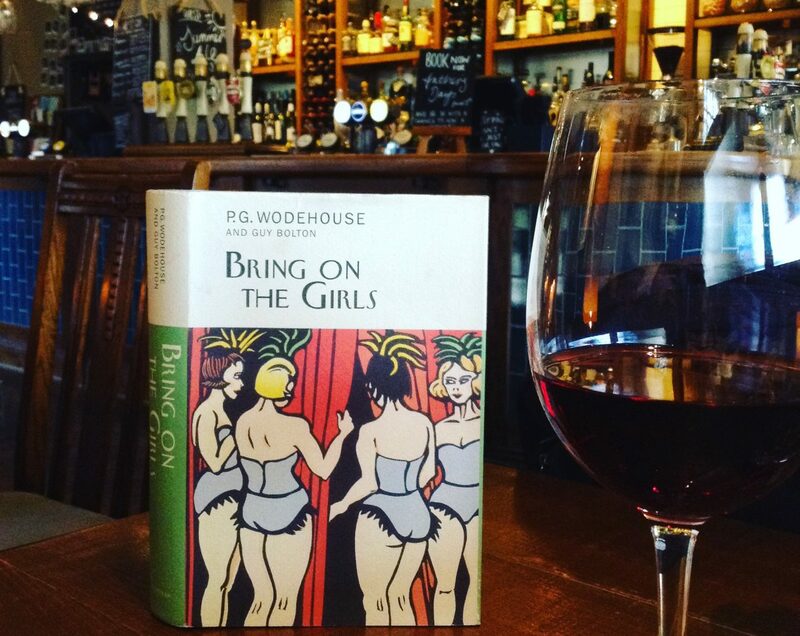 We will do it all again and have the same or, if possible, even more fun with Wodehouse. What Ho, Ninepennyworth! I shall put it my diary at once. I’ve always wanted to see Seattle. Enjoy the rest of the festivities.